Seafood on a wholesale basis for restaurants, retailers and businesses throughout the continental United States. Our state of the art processing and packaging of our fresh Florida seafood ensures the seafood that ends up on your plate tastes just as fresh as the moment it was caught. Our safe handling procedures and cleanliness in our processing plant and on our fleet of fishing vessels ensure that our valued online ordering customers experience the highest level of customer satisfaction for fresh, delicious Florida seafood. Our company's mission of selling the freshest, highest quality seafood has earned Keys Fisheries the honor of being an inspected and approved facility of the US Department of Commerce. We proudly support some of the most successful seafood programs in Florida. 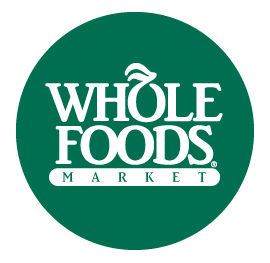 For years we have provided the world famous Miami Beach Restaurant "Joe's Stone Crab" with its world-renowned seafood delicacies and recently our partnership with "Whole Foods Markets" brings our fresh Florida Keys Wholesale Seafood to store locations throughout Florida. We efficiently and effectively ship seafood, from single portions to case quantities, with online ordering and overnight delivery for our clients anywhere in the continental United States. For more information on our Florida wholesale seafood & fishery services for your business, please contact us today to speak with a representative and start your fresh seafood shipments today!